Experience a Dinosaur Discovery, a venture for small ventures. 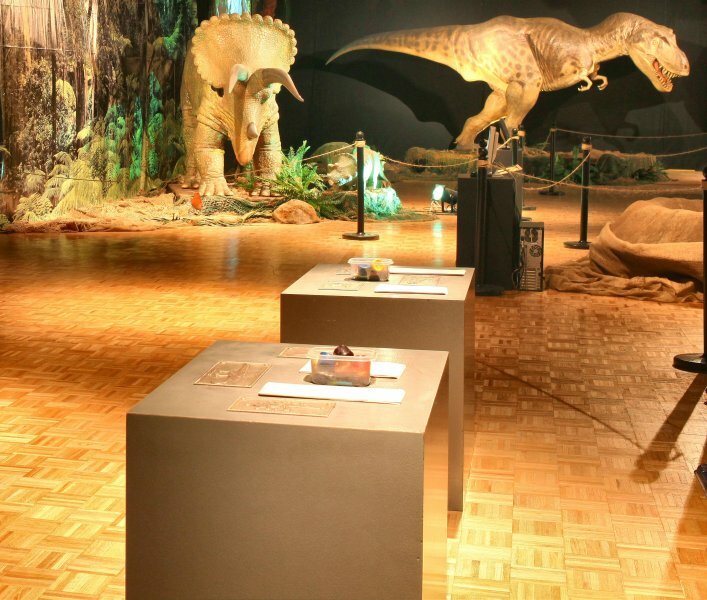 Get a taste of life during the Mesozoic era by coming face to face with large, North American creatures from the Cretaceous period: a bipedal carnivorous dinosaur, a family of quadrupedal herbivorous dinosaurs, and a toothless carnivorous aerial reptile. Hear the thundering roar of the fearsome Albertosaurus, while a coastal Pteranodon flies overhead. 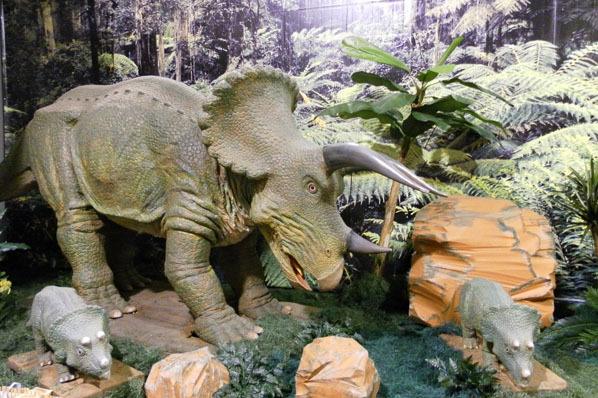 Wander with the three-horned, giant-frilled Triceratops and its young as they graze on vegetation. Find fossils while digging through the sand, and uncover fossils by rubbing crayons on paper-covered templates. 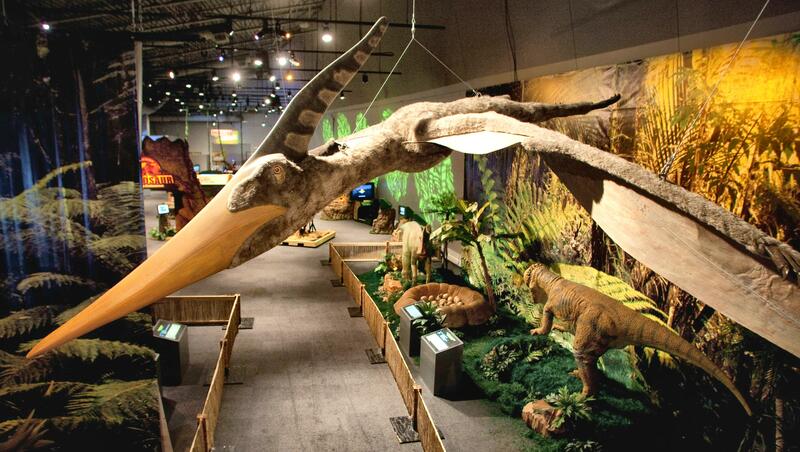 Take a photograph riding a Triceratops or inside the deadly jaws of a T. rex. This is an adventure to discover! A Triceratops and its young graze on North American plants. 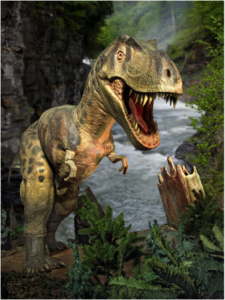 A ferocious Albertosaurus prowls North America for prey. A Pteranodon soars over the coast in search of fish. 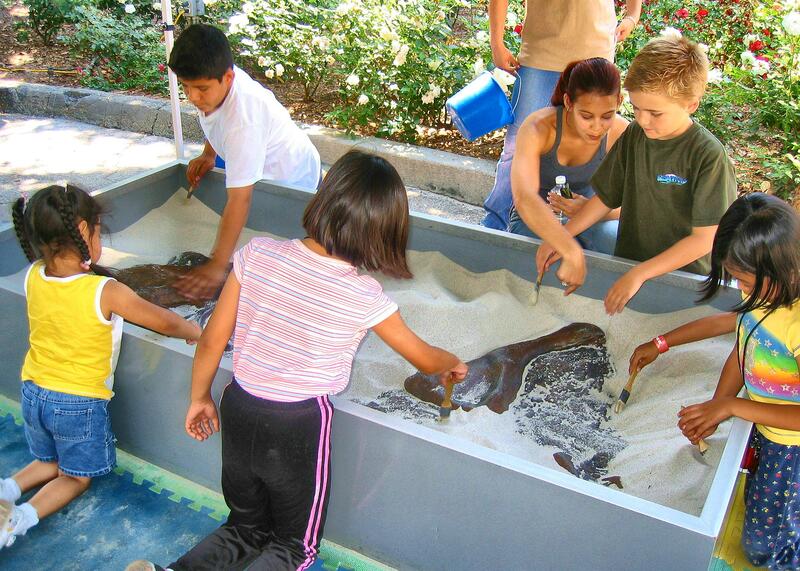 Discover fossils while digging through the sand. Uncover fossils by rubbing crayons on paper-covered templates. 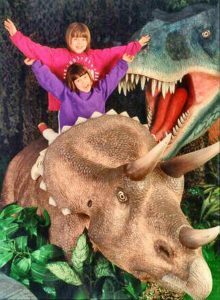 Take a photograph riding a Triceratops or inside the deadly jaws of a T. rex.